This Article Was Live On: At 7:40:00 PM And Till Now HaveNo comments. 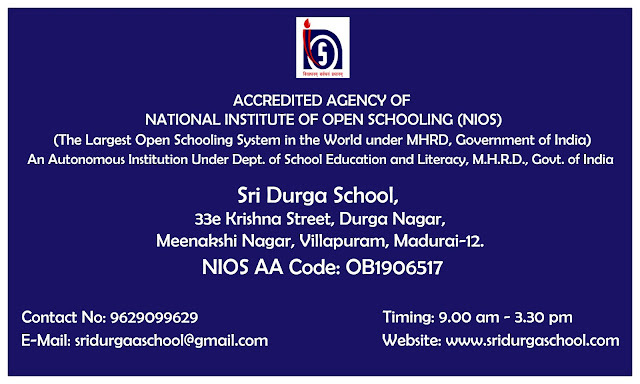 Sri Durga School is an Accredited Agency of NIOS(National Institute of Open Schooling) in Madurai. 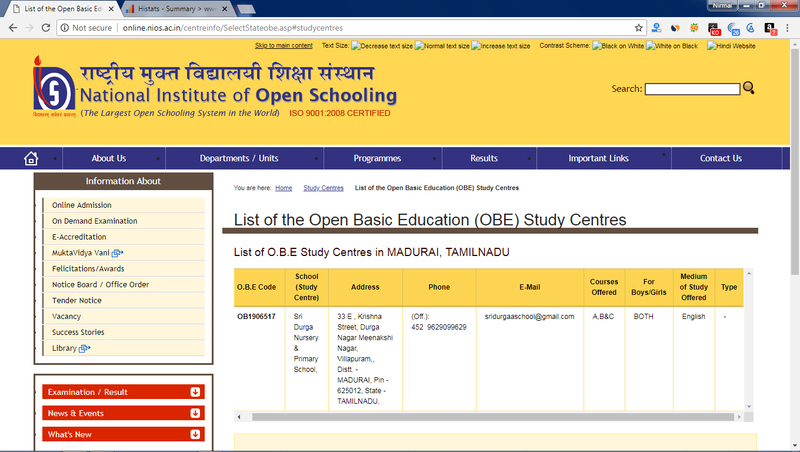 It's proud to say that we are the first school in Madurai providing Open Schooling with Formal Education. We are offering OBE(Open Basic Education) Level A, Level B, Level C as well as Std. X and Std. XII through Formal and Non Formal System. We provide daily classes or weekly consultations as per the NIOS system. The certificate of Secondary and Senior Secondary from NIOS is recognized and accepted by all other colleges, universities in India as well as in abroad. To find out the list of NIOS OBE study centers in Tamilnadu, you can click here.